I read this article and found it very interesting, thought it might be something for you. The article is called 6 city nicknames and their backstories and is located at https://www.cheaptickets.com/blog/2014/11/6-city-nicknames-and-their-backstories/. Calling cities by their nicknames seems to be a trait common among tourists, but that’s not to say locals don’t occasionally use their city’s nickname with endearment. These terms have become commonplace in our vocabulary, but their origin stories dig a little deeper into history. New York City. A breeding ground for culture, excitement and hope. For centuries people have flocked there, be it to visit, study or live. The city has fostered its people and theircultures, making or breaking them. There are languages spoken on the NYC streets that have gone extinct in other parts of the world. There are foods cooked in NYC kitchens that cannot be found anywhere else in America. Everyone has a story to tell or a story to write, and they come to NYC to do it. People the world over know of the endless opportunities the Big Apple presents, and seemingly everyone is eager to take a bite. But what does that mean, exactly? Where did that analogy come from? And the even bigger question, who decided that an apple represented opportunity? A clipping of John J. Fitz Gerald’s 1920s column “About the Big Apple.” Photo courtesy of BarryPopik.com. Entomologists have traced the origin of the “Big Apple” reference back to a 1924 column in the New York Morning Telegraph. A guy named John J. Fitz Gerald wrote a column called “Around the Big Apple,” which documented NYC happenings and reportedly popularized the phrase. But where did Fitz Gerald get it? Experts think he heard the phrase being used by some stablehands in New Orleans years before his column ran. They referred to NYC as the “big apple,” and as the most desirable destination. Back in those days, when apples were sold in barrels, farmers used to put the nice big ones on top, for aesthetic purposes. People would assume the rest of the barrel was also full of big, juicy, delicious-looking apples and buy that barrel. Of course if the barrels were shipped, the small apples fell to the bottom anyway. So the big apples were the most desirable. Horses, as you may know, love apples, which is probably why stablehands were so concerned with which ones were desirable. Manhattan in the early 1900s. Photo courtesy of Sivi Steys. And so, the connection was drawn. Big apples were the cream of the crop. New York City is the most enticing place to be. Both were things stablehands longed for. So New York City became fondly known as the Big Apple. Possibly a play on New York City’s renowned nickname, The Big Pineapple is one of several nicknames for the capital of Hawaii, and it’s more than just a play on words. Tourism has been Hawaii’s main industry since it achieved statehood in 1959, but the pineapple industry also plays a significant role in the state’s income. Pineapple fields outside of Honolulu. Photo courtesy of San Diego Air and Space Museum Archive. Honolulu alone is home to multiple pineapple plantations and canneries, including the Dole Pineapple Plantation and the Hawaiian Pineapple Company. Although some global powers are starting to move in on the pineapple business, it’s something that has for decades been rooted into the culture of Honolulu, and Hawaii as a whole. The pineapple is also known as a symbol of friendship and welcome, which also factors in to Honolulu’s nickname. One side of the moniker comes from the physical winds that whip off Lake Michigan and are funneled by the skyscrapers Downtown, making for a lovely commute in the winter months. The other half is a sort of slur toward the residents and politicians of Chicago, meaning that they’re full of wind, bombastic and boastful. The first recorded use of the “windy city” nickname – in the pompous sense – wasn’t even referencing Chicago. Someone in Wisconsin used the term to describe Green Bay in 1856, but Chicago’s rival Midwest cities quickly began using to the term in a more derogatory sense. In the 1870s, Cincinnati newspapers were constantly using the term to slam Chicago, entomologists have found. The word battles newspapers inthe two cities got into were so vicious other media outlets around the country reported on them. The rivalry might have stemmed from the fact that both Cincinnati and Chicago were referred to as “Porkopolis” in the late 1800s because of their meat processing industries, and Cincinnati was trying to coin a different nickname for Chicago. Of course the rivalry between the Cincinnati Reds and Chicago Whites didn’t help much, either. The newspaper rivalry eventually fizzled out, but the nickname endured. The origin of Las Vegas’ nickname might seem a little obvious, what with it offering almost any vice imaginable to the visitor. But all that sinning had to start somewhere, and that Garden of Eden was Block 16. Located on First Street between Ogden and Stewart Avenues, Block 16 became famous in the early 1900s, first for being able to legally sell liquor without licensing restrictions and second for blatantly offering prostitution. Las Vegas sign. Photo courtesy of InSappoWeTrust. It was a place out of an old Western film. Scantily-clad prostitutes worked the dusty saloons and gave owners a cut of their profit. One of the first gambling halls, The Arizona Club, was among the saloons and bars on Block 16, the Las Vegas Sun reported. And when prohibition rolled around in the 1920s, Block 16 remained untouched. City officials were fully aware of the scandalous behavior occurring behind swinging saloon doors on Block 16, but didn’t do anything about it until the U.S. Army built a gunnery school nearby. Army officials started raising hell about the sinning, and the city was desperate for their business, so that was that. After World War II, Block 16 was bulldozed into a parking lot and remains so today. But the bulldozers couldn’t put an end to the sin in the city, and Las Vegas was built up around it. Boston’s nickname, like the city itself, dates back to colonial times. Although experts believe that Native Americans were eating beans long before Christopher Columbus even set foot on the continent. Brown beans and bread were a staple in colonial America – being cheap, storable and easy to cook – and remained such into the 1900s. But experts say Native Americans taught the pilgrims how to cook beans and sweeten them. Even the bean pot was a Native American invention. A postcard from 1911. Courtesy of Boston Public Library. There was one deviation from the Native American’s recipe. Experts think that if they sweetened them, they would have used maple syrup, a product native to the homeland. But the Triangular Trade – a trade route that sailed between Europe, Africa, the Caribbean and New England, often in that order – brought molasses from the British West Indies to New England. Bostonians quickly adapted that as their bean sweetener. As the pilgrims and Puritans became more established, they strictly observed the Sabbath, and would not even cook on Sundays. Beans could be cooked on Saturday and stored in the oven until Sunday, providing a warm meal on the Sabbath. View of Boston from Breed’s Hill, 1898. Photo courtesy of Boston Public Library. Beans remained a common food among the plebeians and immigrants through the turn of the century, and in the early 1900s, Boston’s nickname became nationally known as the result of a publicity stunt. In 1907, Boston hosted a sort of homecoming event called Old Home Week. To promote it, 1 million stickers with the image of two hands clasping over a bean pot were printed and distributed. The image made news, and soon was replicated on postcards and other materials, cementing Boston’s nickname as Bean Town. Puts a little more meaning behind the bowl of Boston’s baked beans you’re eating, doesn’t it? Life in New Orleans is easy going like jazz, and it’s common knowledge the city derives its nickname from its lifestyle. But the origins of the epithet are a bit contentious. Legend has it that there was once a jazz club in New Orleans called Big Easy, but any concrete evidence of the club’s existence has yet to be uncovered. Images of musicians in a New Orleans establishment. Photo courtesy of Lindy Duchaine. A gossip columnist at the Times-Picayune claimed to have coined the phrase in the early 1970s, making a comparison to life in New York City, the Big Apple. Her obituary notes that she helped popularized the nickname, but James Conaway, author of a crime novel called “The Big Easy,” reportedly claims the phrase as his own. According to his story, the nickname was born in a fashion similar to New York City’s nickname. He says he heard the phrase used as slang on the streets of New Orleans while covering crime, and that the columnist first heard the phrase from him. Whichever story is true, the nickname stuck, and the city continues to live up to it. I read this article and found it very interesting, thought it might be something for you. The article is called Book your 2009 Hawaii vacation now and save and is located at https://www.cheaptickets.com/blog/2008/12/book-your-2009-hawaii-vacation-now-and-save/. For people experiencing their first taste of winter right about now, a Hawaii vacation might sound really good. 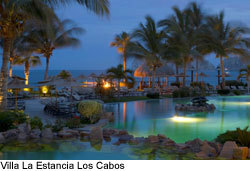 And what might sound even better is that cheap Hawaii hotels can make a trip really affordable. 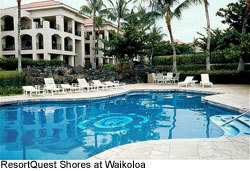 ResortQuest Waikiki Beach is offering 20% off regular rates for travel through 2009 in you book by February 28. This four-star Honolulu hotel also provides complimentary "breakfast on the beach." Guests who’ve stayed at the property rate it a 4.5 out of 5 and rave about its beach location that’s easy walking distance to shopping and restaurants. Or, for a Hawaii vacation far from the activity of Waikiki Beach, you may want to visit Kauai. This oldest of the Hawaiian Islands is known for its lush tropical foliage and spectacular scenery. ResortQuest Kauai Beach Hotel has a day spa and an award-winning on-site luau, and if you travel by March 31, 2009, you can take advantage of 35% savings. ResortQuest Shores at Waikoloa, on Hawaii’s Big Island, is a good choice for family vacations, and guests who’ve stayed at the property rate it a 4.8 out of 5. This condominium development features spacious accommodations with kitchens, and it’s close to shopping, restaurants and golf. 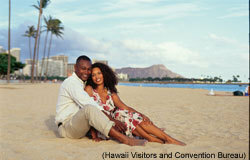 If you book your 2009 Hawaii vacation by February 28, you can save 30% off regular rates. I read this article and found it very interesting, thought it might be something for you. The article is called Honolulu flights on sale and is located at https://www.cheaptickets.com/blog/2008/09/honolulu-flights-on-sale/. 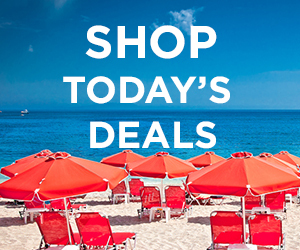 Travel to Hawaii this fall and save with CheapTickets and United Airlines. 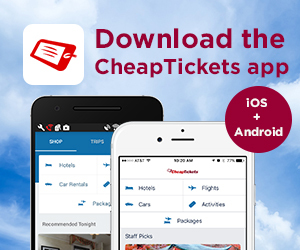 Fares are for roundtrip flights and don’t include taxes and fees. A three-night minimum stay is required. 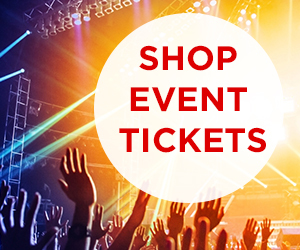 Sale is good for travel through November 19, 2008– but you must buy your ticket by 11:59 p.m. CDT September 16. So if you’ve always wanted to visit Waikiki Beach — or if you just want to relax on the beach — this may be your ticket to a cheap Hawaii vacation.